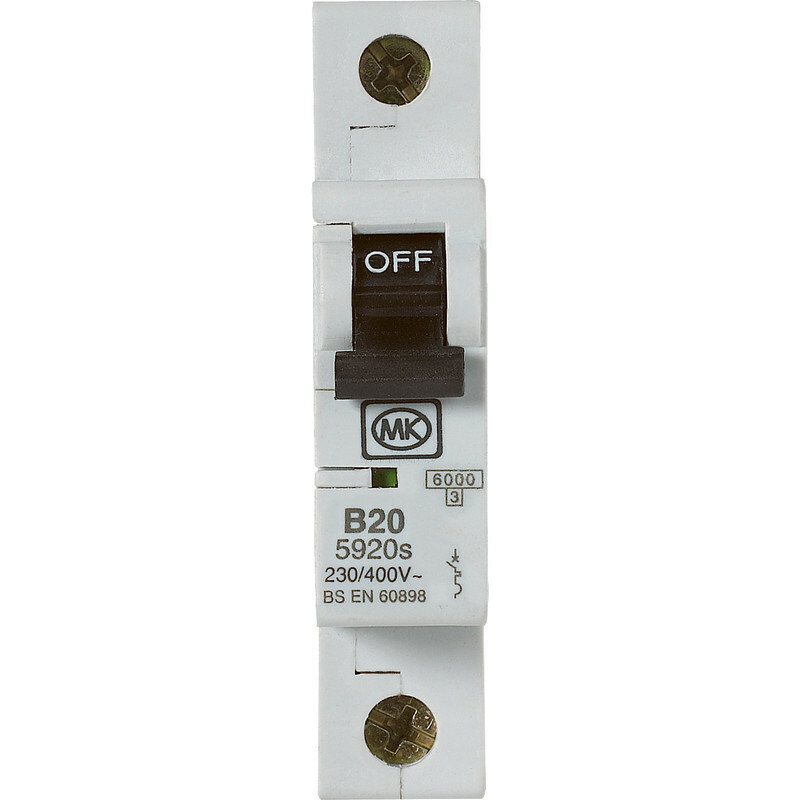 Single pole 230V B curve MCBs. MK MCB 20A SP Type B is rated 5.0 out of 5 by 7. Rated 5 out of 5 by Sparky Jon from MCB Fitted loads in the past and good quality. Rated 5 out of 5 by derbysquire from Good upgrade I bought to upgrade my consumer unit to accomodate an electric cooker. Although design has changed this fits perfectly in old MK unit. Rated 5 out of 5 by Brypat from MK circuit breakers MK circuit breakers are extremely good product very rarely do they go faulty. The price you pay for this product is extremely good and on par with other suppliers.